Whether you’ve had rain water damage in your home or a pipe burst flood in your business, or even a sewage backup, Mastertech provides immediate response for emergency water removal, flood damage clean up, water extraction and sewage clean up. We can work directly with your flood insurance provider or help you figure out your water damage coverage. Water damage due to flooding can cause many issues for your home or business. Electrical issues, plumbing problems and possibly mold are just some of the many hazards faced by homeowners after a flood or water leak. 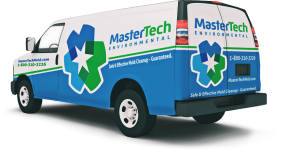 Mastertech Environmental is certified to perform emergency flood and sewage cleanup. If you need water damage restoration in New Jersey or water damage cleanup in Pennsylvania then we are the company to call for your emergency water damage needs. Mastertech provides immediate response for emergency sewage cleanup, flood damage clean up, water extraction and water removal. It’s important to get your property professionally dried to ensure mold does not develop. Once all standing water has been removed, pumped out or extracted from flooring, dehumidifiers and air movers are necessary to properly dry your home or business. Experiencing a flooded basement in your home or business is never fun. We understand how difficult this time is for our clients so we respond within the hour to start removing the water and drying your home. Our expert water damage specialists know exactly what to do to make your home dry and safe like it was before the flood occurred. We’ll take great care of your home and belongings and will work with you every step of the way to ensure you get your home back in a safe and timely manner. Looking for a Certified NJ Water Damage Cleanup Company? Look no further. We provide flood cleanup, emergency water removal and sewage cleanup for homes and businesses.